This sophisticated ring coordinates with Spellbound ensemble and countless other jewelry as well. 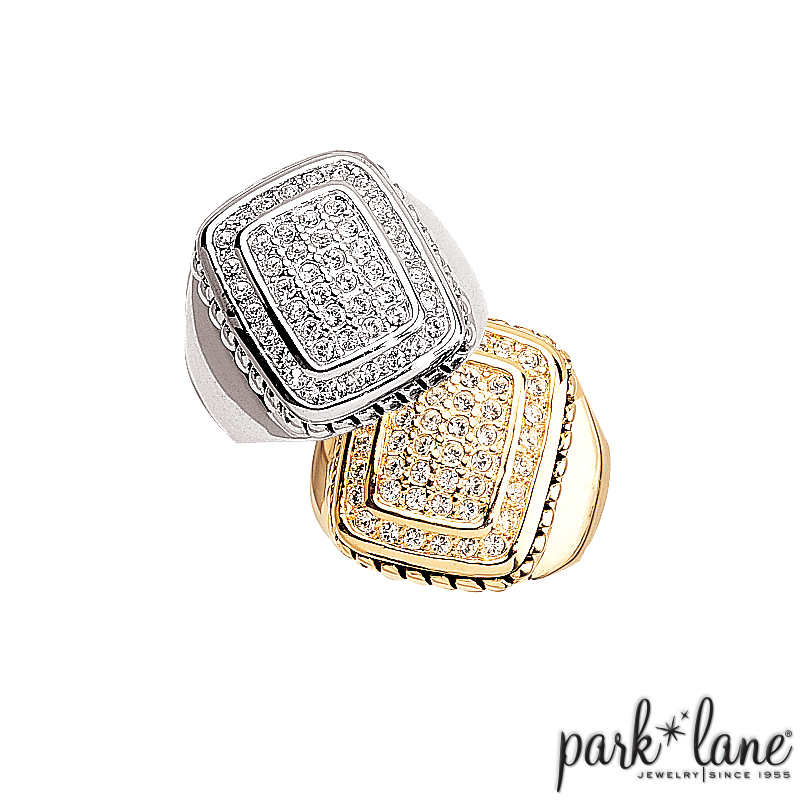 Available in your choice of gold or silver, a pool of sparkling pave Swarovski crystals are the centerpiece of this designer-inspired ring. Complementing jewelry: gold and sparkle, and silver and sparkle.